When purchasing a new (or new to you) car, you’re probably going to face a lot of decisions. And, one of the first things to consider, is whether you should purchase a new car or a used car. Each has its pros and cons and depending on your lifestyle one might be better than the other. But whether it’s for your spouse or a teen driver, we understand that you want to get the best deal while also getting the best car. To help steer you in the right direction, we’ve put together some pros and cons to consider when you start your shopping. Adding another car to your family garage is an investment, there’s no doubt about that. 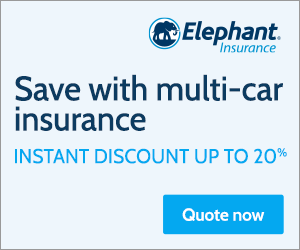 At Elephant, we understand that more cars means more bills and costs, so we go out of our way to help you save on your new investment. That’s why we make it simple when it comes to insuring your car. When you insure more than one car on the same policy, we pass along pretty significant discounts on your premiums. Whether your car is new or used, you’ll save when you insure more than one of them. Believe it or not, the interest rates when buying new cars are lower than interest rates for buying used cars. Bankrate lists interest rates for prime borrowers, those having credit scores between 661 and 780, at 3.59 percent for new cars and 5.12 percent for used cars. Super prime borrowers, with credit scores between 781 and 850 enjoy even more attractive interest rates of 2.6 percent for new cars and 3.4 percent, on average, for used cars. The bottom line is that you can expect to pay more per dollar borrowed for used cars than for new cars. Depreciation can be a killer for new cars since the value often drops steeply after the first year of ownership. Then you’ll experience another painful drop in value during the second year of ownership. Beyond that, the value plunge is a lot less painful making the decision to purchase a vehicle that is two to three model years behind the current year a wise investment decision. Even better, many of these vehicles qualify for auto maker certification programs. These programs provide additional scrutiny and care when preparing vehicles for sale offering extended benefits and warranties to buyers for a slightly higher than market price when compared to used cars that are not factory certified. While some used vehicles have the best safety features for their model years as options or add-ons, many new cars on the market today are offering some pretty technological safety features. More importantly, many car manufacturers are scrambling to up their safety games and newer cars often feature the most advanced options available. Some standard and others as option. The thing about buying a new car is that you can elect to have all those options installed on your vehicle at the time of purchase, which isn’t always possible with used vehicles. If it is available, it might prove quite costly making a new car purchase the better choice for consumers seeking advanced safety features in a vehicle. That isn’t to say you can’t find exceptionally safe used cars on the market today. You just might have to look a little harder to find them, though. Let’s be real, there’s nothing like the smell of a new car. When you buy a used car, though, you might have a few lingering leftovers from the previous owner or owners, like stains in the carpets or on the seats. Or the lingering scent of tobacco or the previous owner’s favorite incense. It’s great if you like those smells. Not so much if you find them unpleasant. Equally important is the wear and tear that almost all used cars carry with them. 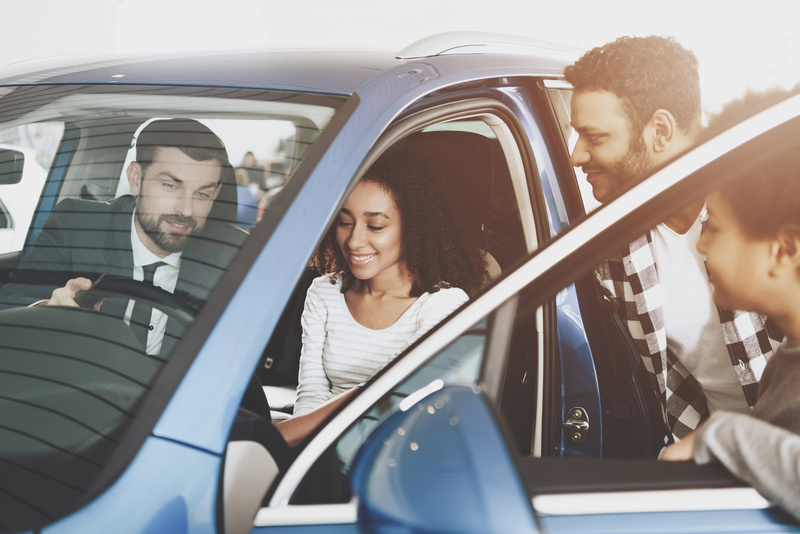 Whether it’s a chip in the paint, a smudge on the mirror, or a tiny tear in the seat fabric only you can see, you may find that the blemishes from an used car is a deal-breaker for you while you’re looking for your new addition to the family. Another important thing to consider is the warranty. Most new cars come with factory warranties that guarantee to correct certain mechanical problems that arise during first several years of owning the car. While some of this protection will pass along to the new owner of the vehicle (up to a certain mileage has been reached) not all will. It’s important to read the fine print and know which (if any) warranty protections transfer to you if you purchase a late model used car. 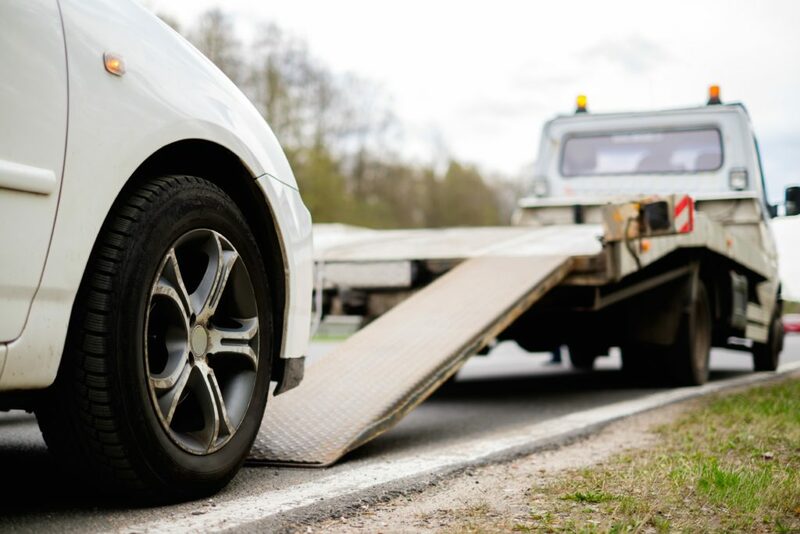 Otherwise, you may want to make sure you consider cars that are known for their reliability, so you won’t end up in the shop having to pay out of pocket. In a lot of states, the fees for registering and plating brand-new cars can be significantly higher than the costs of plating and registering older model vehicles. This can create added (and even unexpected) costs of owning a car. And if you’re purchasing a high-end luxury car or large SUV, you could be paying for even more. If you opt to buy a car that is maybe three or four model years older, you may see reduced costs for plating and registering your vehicle. Since most states charge sales tax on the sale of new and used vehicles alike, you can expect to pay tax according to the costs of the vehicle regardless of its year. Since newer vehicles can have higher price tags than older vehicles, it makes sense that newer cars might cost you more when it comes to taxes. Unless you outright buy your vehicle, the amount of money you pay each month for your carry varies, and it really depends on your down payment and the retail value of the car. If you’re paying for a used car that’s $10,000-12,000 lower than a new car of the same model, expect to pay either a lower monthly bill or fewer monthly bills overall. Ultimately, it’s up to you to choose payment terms that work best for you, your family, and you budget. ← Lexus vs. Volvo: Which luxury brand has the safest cars in 2018?